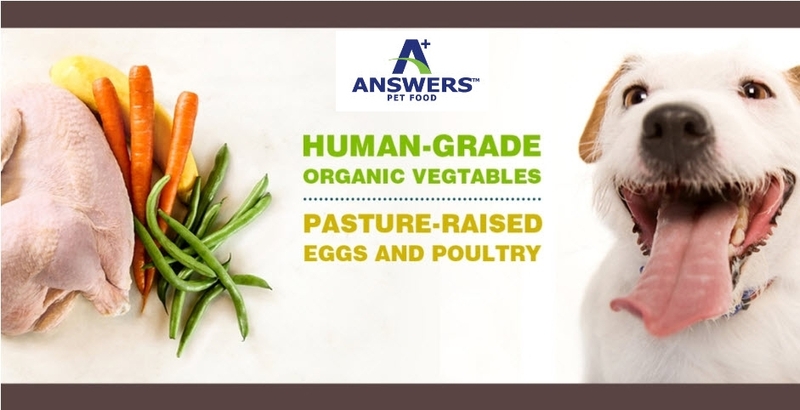 We stock a complete line of Answer's Products! Unlike any other raw diet, Answers Pet Food enhances the nutritional value of raw food through the process of fermentation. By utilizing kombucha (fermented organic decaffeinated green tea), raw cultured whey, cultured raw goat’s milk and kefir, we created our own category and became the first and only fermented raw pet food supplier in the industry. The importance of our fermentation process. Good bacteria is needed to create a thriving gut. We believe that bacteria is the number one ingredient missing from pet food. We inoculate every one of our foods with good bacteria and allow them to thrive. These bacteria go to work pre-digesting the food, making it easier for your pet to assimilate nutrients. They also create new vitamins, enzymes, and organic acids that simply aren't present in non-fermented foods. Good bacteria fill up the food, and also inhibit the growth of bad bacteria. Safety through inhibition— just like nature has done from the very beginning. Fermentation is the most natural and effective way for us to make our products as safe and healthy as possible. Our raw fermented pet foods are formulated to create a healthy gut. Fermentation supports healthy immune function by increasing the B-vitamins, digestive enzymes, antioxidants, and lactic acid that fight off harmful bacteria. It's also the ultimate source of probiotics.